The Nydiag 200 is integrated with our VNG solutions. Reduce test time by completing your entire VNG and rotary chair test battery using a single software program. The physiological rotatory stimulus is similar to that which the patient will experience in daily life and up to 100 times stronger than that achieved with the non physiological caloric stimulus. This makes rotational testing particularly suitable for VOR testing. 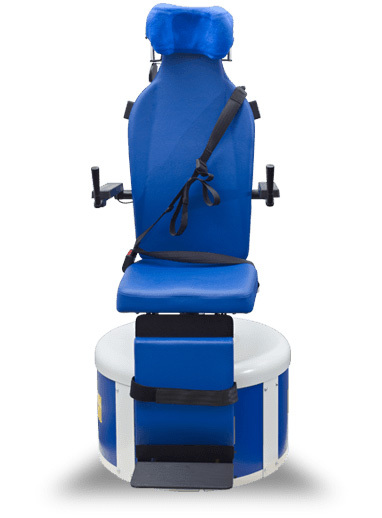 The Nydiag Rotary Chair provides precisely controlled and reproducible stimuli. You have full control over acceleration, velocity and amplitude and can easily design and configure your own tests.